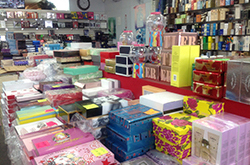 Stop in today for discount fragrances! Mention this ad for a free sample with your purchase! There is nothing quite like the scent of a designer perfume. Carefully constructed by masters of the trade, today’s designer perfumes offer a multilayer experience that evokes the perfect mood and ambiance. It’s this kind of top-quality craftsmanship that makes a fragrance set the perfect gift for a spouse, significant other, or even a young boy or girl. The only downside is the price. However, when you come to Perfume Factory Outlet, you’ll find wholesale fragrances for a price that’s just right for your budget. 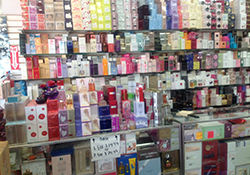 At Perfume Factory Outlet, we have a wide variety of discount perfume selections available. But don’t be fooled – these aren’t discount fragrances from brands you’ve never heard of. These are the best scents from your favorite designers available at a fraction of the usual price. 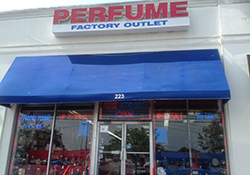 See for yourself why so many people from across Long Island come to Perfume Factory Outlet since we opened our doors in 1999. Conveniently located in Carle Place, NY, we serve customers from Garden City, NY and beyond. Whether you’re looking for your personal favorite fragrance or you’re looking for the perfect gift, visit us today to experience our exquisite selection for yourself. We have a huge selection of discount perfume! At Perfume Factory Outlet, selection is the key. Every week, we get new deliveries of discount perfume from top designers. Choose from Calvin Klein, Bvlgari, Lacoste, Oscar de la Renta, Elizabeth Arden, Gucci, Van Cleef & Arpels, and many more. Our perfumes are available in every possible size. We have all of the hard-to-find fragrances. We even have gift sets available, so you can get a complete fragrance package for the special man or woman in your life. Everything you’ll find on the shelves at Perfume Factory Outlet is available at a substantial discount – sometimes up to 50% off. Our helpful staff is here to help you find everything that you need. We can help you find today’s top sellers or the classics that continue to win hearts year after year. We have a wide variety of wonderful discount fragrances available for sale, all from your favorite brands and all coming at a discount price. View the lists below to see some of our top sellers. Who knows? You may find that your favorite fragrance is on here, or you might even find a brand-new favorite. 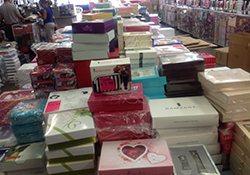 This is just a sample of the many top-selling fragrances we have available at a discount price. 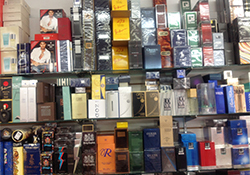 Whether you’re looking for the perfect perfume for your leading lady or just the right fragrance for your man, you’ll find exactly what you were searching for at Perfume Factory Outlet. Visit our website to see a list of all of our perfume brands, or better yet, visit us in person today to see our selection for yourself. Visit Perfume Factory Outlet Today! 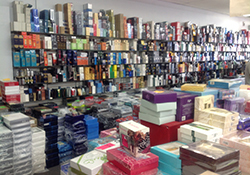 Perfume Factory Outlet is conveniently located at 223 Voice Rd. in Carle Place, NY. 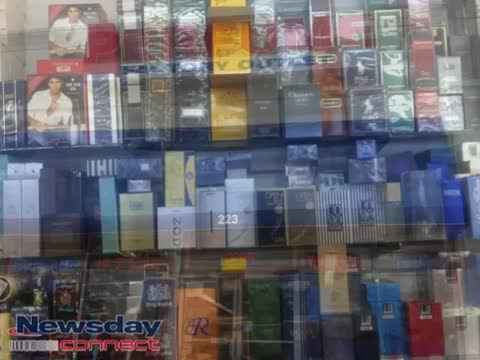 We are proud to serve Carle Place, NY; Garden City, NY; and all of Long Island with the best selection of discount and wholesale fragrances. We’re open seven days a week, and we get new deliveries every week. Whether you’re looking for a gift set for a child or the perfect fragrance for your significant other, we know you’ll find just what you need at Perfume Factory Outlet. Pay us a visit today to find the right fragrance at the perfect price. Men’s and Women’s Fragrances, Cologne, Perfume, Wholesale and Retail Fragrances, Boy's and Girl's Fragrances, Gift Sets, Discounted Fragrances, Thousands of Brands including Today’s Hottest Sellers, Up to 50% Off.